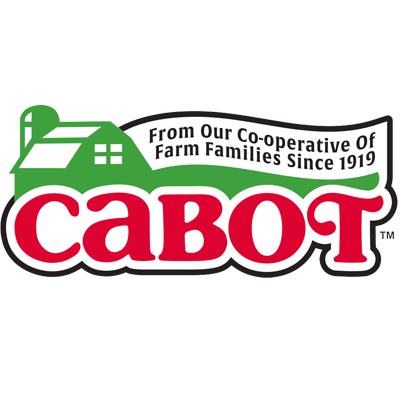 Cabot is a cooperative owned and operated by 1,200 dairy farm families located throughout New York and New England. We value our roots as a cooperative ~ and as a way of doing business. We have been in continuous operation in Vermont since 1919, and make a full line of cheeses, Greek-style yogurt, sour cream, cottage cheese and butter. We've won every major award for taste and are best known as makers of “The World’s Best Cheddar". No tour of New England is complete without an inside look at the region's famous dairy industry. Be sure to stop by any of our three retail shops full of free nibbles and outstanding Cabot products — in Quechee, Waterbury/Stowe, and Cabot, VT. Ask about our new lines of cheeses, the 'Farmers' Legacy Collection', featuring three distinct flavors — Alpine Cheddar, White Oak Cheddar and Farmhouse Reserve Cheddar. At our Visitors Center in Cabot, you can join a factory tour, watch talented cheese makers create our award-winning cheddars, and enjoy plenty of samples — all in one of the most scenic spots in America. After you've stocked up on your favorite Cabot Cheese start enjoying your bounty in the kitchen with delicious recipes and how-to cooking videos making entertaining easier than ever. Are you a volunteer who likes to give back and do good? In honor of our farmers' commitments to their communities we created the Reward Volunteers program. Visit us online to learn more and win prizes for yourself and the organization you serve. We thank you for supporting the Farm Families who own Cabot!